Tony Robinson-Smith could hardly imagine that he, his wife, ten Bhutanese college students, and a stray dog would end up running 578 kilometres (360 miles) across the Himalayas. In early 2006, he arrived in the Kingdom of Bhutan to work as a university lecturer. A casual conversation with his wife led to the creation of the "Tara-thon," a sponsored run to send village kids to school for Tarayana, the Queen Mother’s non-profit foundation. In Bhutan—the country that originated the concept of Gross National Happiness—Robinson-Smith discovered he had much to learn. His memoir portrays Bhutan and its people in rich detail at a transformative moment of the Kingdom’s history. 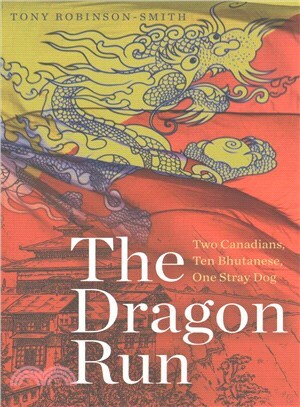 Touching and insightful, The Dragon Run is the perfect book for inveterate explorers, adventure sports enthusiasts, and armchair travelers alike. Brit by origin, Canuck by marriage, Tony Robinson-Smith told of circling the earth without using aircraft in Back in 6 Years (Goose Lane). In his new travel memoir, The Dragon Run, he chronicles and illustrates his run across the Bhutanese Himalayas.